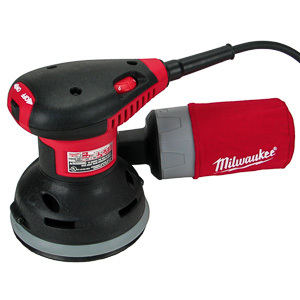 The one tool we were most excited to get into our shop this spring is the Grizzly T10687. The day it was announced was a fine day from track saws. It already is one of the most important tools of 2013. Promise and novelty, however, do not make for a good tool. It takes good design work and a well managed manufacturing process to score well in our in-depth review. Let's take a look, if the T10687 is the track saw we all have been waiting for. 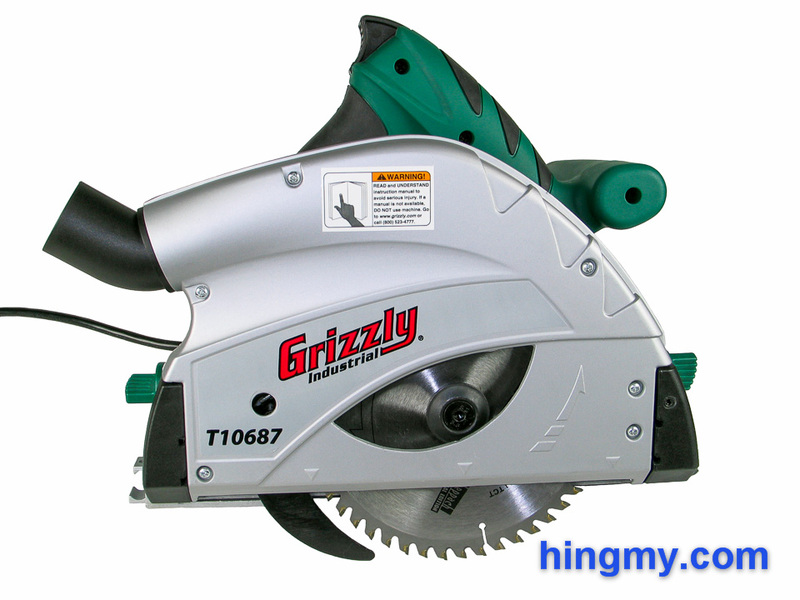 The Grizzly T10687 is an exciting new entry in the track saw market. Before it arrived woodworkers had the choice between expensive and expensive, if they wanted to purchase a track saw. 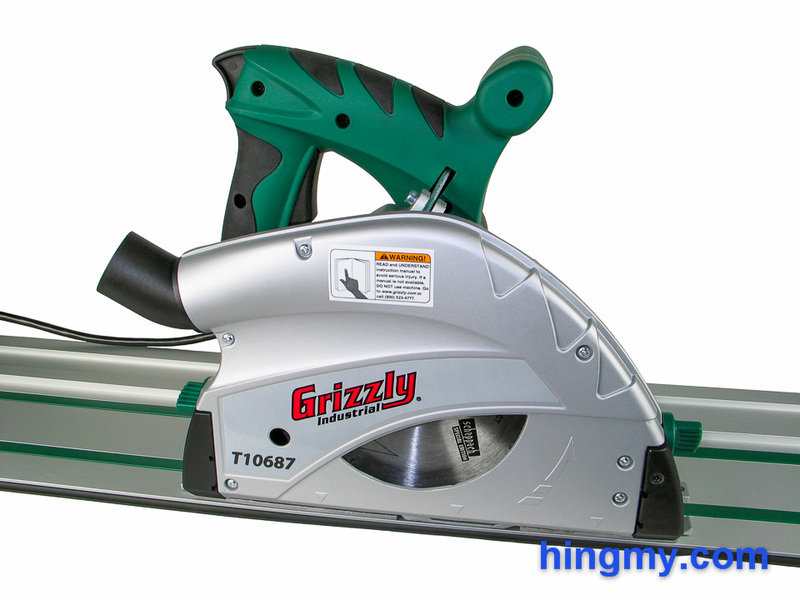 Grizzly Industrial has brought massive change to the market by offering the T10687 at roughly half the price of all other track saws available today. Functionally, visually, and even operatively the T10687 is a very close clone of the much more expensive Festool TS 55. Has Grizzly Industrial made a track saw for the rest of us? To achieve this price point the engineers had to make different choices than the established players. For starters the T10687 is equipped with a less powerful motor. At 9 amp the unit is significantly less powerful than the competition, but still reasonably equipped to handle the tasks a track saw is expected to complete. To compensate the T10687 spins faster. It takes smaller bites than the other saws, but it does so much more often. As a result the T10687 is not far off the mark in real world cutting speed. Thankfully the engineers understood that the base plate was not one of the places they could save money. The base plate is what gives the rest of the saw stability. The T10687 uses a thick, generously webbed base plate that appears to be made of magnesium. Such a design is significantly more stable than a plate made from stamped metal. The T10687 scores full points here. The base plate has mounting points for guide rods built into each end. Grizzly Industrial does not sell a system that connects to the T10687 at this time, but the attachment points are there should that change. The blade shroud is also made of metal. It encases the blade complete short of an open area below the motor housing and a window that allows access to the arbor bolt. Overall the saw achieves the "solid-tool" feel that is so important for every power tool to have. Only the thumb screws and some markings show the budget nature of the tool. The screws are harder to turn that they should be and appear to be made of lower quality plastic. Most printed markings on the tool are slightly smudged as if someone did not let the paint dry long enough. The riving knife adds a safety feature that simply cannot be had on a circular saw. The knife moves up and down with the blade. It is spring-loaded in the vertical direction to allow it to follow the blade during plunge cuts. Most of the time you won't even know it's there. Being a track saw the T10687 adds a plunge lock lever to the trigger. The plunge lock sits at the top of the handle. It locks both the trigger and the plunge feature of the saw. To turn the saw on the operator must first engage the plunge lock with his thumb. This unlocks both the trigger and plunge feature. Once the main trigger is pressed the saw comes to life. The operator can now release the plunge lock. The trigger holds the plunge lock in the open position until the trigger is released. With the plunge lock released the saw is free to plunge into the work piece. 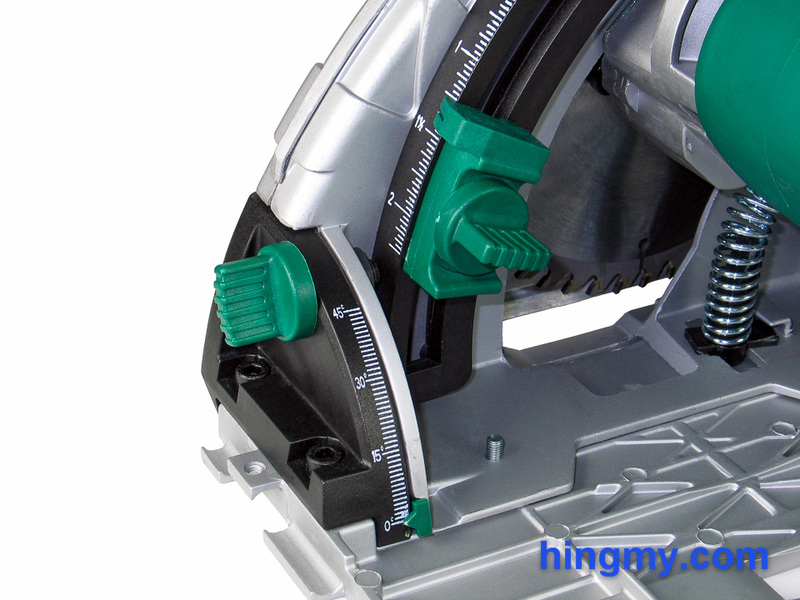 The T10687 uses the same single hinge design of the Festool TS 55. The saw's motor rotates around a single point in the rear of the saw. A spring below the motor housing resists the plunge action and returns the blade to its resting position within the blade housing. The spring tension is such that the saw wants to be held with two hands. It can be difficult to maintain a consistent plunge depth with just one hand. We purchased the T24872 55" track for our test. It's the only kind of track Grizzly sells at the moment. If you need a longer track you can join two or more tracks with the track adapter included in the T25094 accessory kit. The track is made from extruded aluminum. It arrived well protected in an oversize box directly from Grizzly Industrial. The company makes sure this critical component of the system survives shipping as straight as it came off the assembly line. Two anti-friction strips on the top of the track help the saw slide. Two friction strips at the bottom of the track keep it in place without clamps. 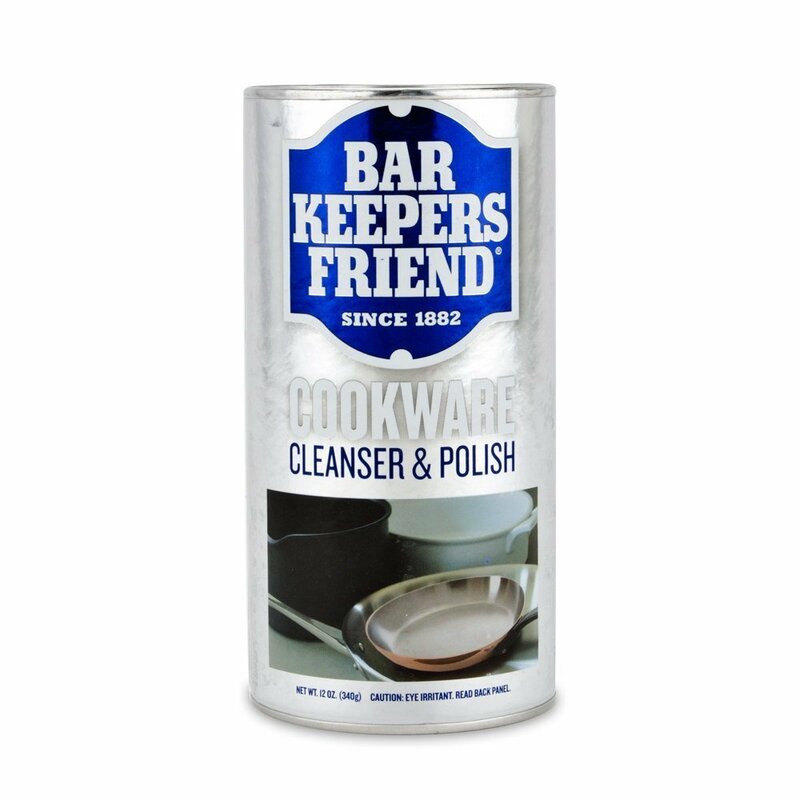 This works well on rough surfaces like plywood. A rubber anti-splinter strip defines the cut line. The saw fits tightly onto the track. Two screws take out all the play. It takes a few minutes and screwdriver to tune the saw to the track, but that only has to be done once. Thanks to the anti-friction strips the saw is easy to push along the track. Minor imperfections in the bottom plate of the review model left some marks on the track as we used it, but this had no impact on the performance of the saw. The rubber anti-splinter strip is glued to the cutting edge of the track. It comes oversized from the factory and must be cut to size. Grizzly currently does not sell a replacement for this strip. 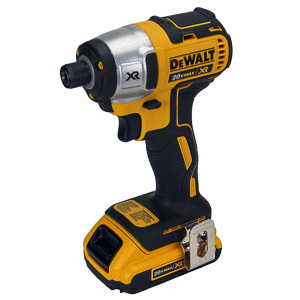 Thankfully the DeWalt does. If you need a new anti-splinter strip you can order it from them. Overall the track performs as advertised. It's straight and true and functions perfectly as the guide it is intended to be. The glue that holds the anti-splinter strip in place looks like it could fail prematurely. Should that happen, a replacement is not hard to find. The saw has two hinges that control the tilt angle of the saw; one at each end. A thumb screw locks each one. An angle scale is built into the front hinge that indicates the tilt angle from 0-45 degrees. 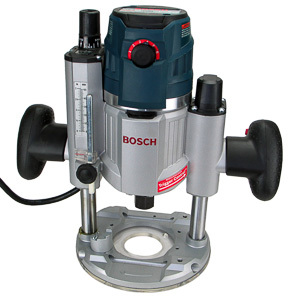 Accurate measurements are ensured with an alignment screw, which can be used to zero the tilt angle of the saw. There are no stops along the scale besides the zero setting. The missing 45 degree stop in particular is a glaring omission. To tilt the saw the user must undo the thumb screws at each end of the saw, tilt the saw to the desired angle, and refasten the thumb screws. Due to the active lock at both ends of the saw, the T10687 remains a solid platform at any tilt angle. When tilted to more than ~40 degrees, the saw falls out of the track under it's own weight. The operator must push the saw down into the track to keep the cut aligned. Unfortunately in this configuration the saw's cutting line is not exactly the same as it is when cutting at 90 degrees. It will slightly undercut the rubber strip of the track. If you want maximum splinter protection at 90 degrees, you are left with purchasing a second track or replacing the rubber strip after an angle cut. A green stop block mounted on the depth scale determines the saw's maximum plunge depth. A single thumb screws secures the stop block in place. It takes some effort to unlock and move the block. This is one place where the lower price of the saw shows. A reference mark on the stop block shows the maximum plunge depth of the saw on the adjacent scale. The scale reads in inches with tick marks every 1/16 of an inch. Depth adjustments are quick and easy. The stop block locks in place securely. There's never any danger of the saw's depth setting to go out of alignment during use. The scale reads accurately with the saw being used without the track. If the saw is mounted on the track, the user must remember to add 3/16" to the scale's reading to compensate for the thickness of the track. There are no marks on the saw to remind the user about this. Changing the blade on the T10687 is outright arduous. The process begins by plunging the saw just enough for the arbor bolt to become visible in the window on the side of the blade shroud. There is no plunge lock to keep the blade in this position. The user has to hold it there with one one hand while simultaneously holding down the arbor lock with the thumb of the same hand. 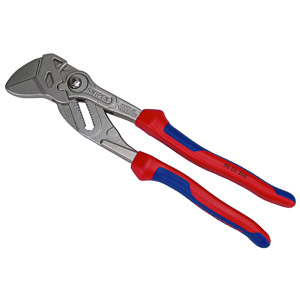 The other hand is free to remove the arbor bolt with an Allen wrench and replace the blade. The spring of the saw is strong enough to make it hard to hold the saw in the correct position for a long period of time. After fiddling for some time I found that pinning the saw between my knees simplified the procedure. I was able to change the blade in under a minute, but it was way more trouble than it had to be. Adjusting the riving knife is equally cumbersome. Again the saw must be plunged to expose the riving knife's set bolt through a hole in the blade shroud. The same Allen key that loosens the arbor bolt engages the riving knife bolt. Once it is loosened the riving knife moves in and out. While Grizzly could have spent more time on streamlining these two processes, it is important to remember that blade changes and riving knife adjustments are not a common operation with track saws. Most owners install a finish-quality and run it until it needs sharpening. If you do plan on changing the blade frequently, you might better off with a saw that has a plunge lock. The rear dust extraction port of the saw is excellent. Even without a dust collector attached almost all dust gets ejected through this port. The port is made of plastic and spins a full 360 degrees. Friction locks the port in place in any orientation. The weight of the dust hose won't move it. With a vacuum hose attached dust collection becomes near perfect. Well-designed circular saws are very clean tools. The T10687 is no exception. The up-cutting blade naturally propels chips along the walls of the blade shroud directly to the dust port. Grizzly Industrial merely followed a tried and true design here. Some dust escapes on the blade side. The T10687 does not pick up all particles. If you use it in a finished space, all you'll have to do to leave behind a perfectly clean surface is a light pass with a vacuum. The saw certainly does well keeping the space clean. From reading the specs one of our worries was that the T10687 was a little under-motorized. That turned out to be not the case. The saw has plenty of power for driving the blade through thick materials. Since the saw maxes out at only ~2" of depth the motor is never in danger of bogging down. Cutting speed is such that finish level cuts are completed in a reasonable amount of time. The saw would only be considered slow in a construction type environment. It loses to the large framing saws that are built for this environment. The top argument of having a track saw is, off course, the track. When making cuts with the track it is immediately clear why you purchased this tool in the first place. This saw is easier to set up and makes better cuts than any circular saw you can buy. All cuts come out perfectly straight every time. Here the T10687 is at worst at the bottom of the track saw field. Even if that was the case you'd still have a great tool. As expected tear-out on the track side is virtually non existent. Most of the edge the saw leaves behind is perfect. Every now an then there is a slightest knick of no more than 1/16" that keeps us from calling the cut perfect. The track-side cut the T10687 produces is by all means of "fine woodworking" quality. On the off side the story changes. Having no uplift guard in place on that side of the blade the saw performs no better than a circular saw with a fine-tooth blade installed. Splinters are a common sight. The edge is not usable in furniture in places where it is visible. A second pass with the saw can clean it up. In most cases the loss of material would be 1/4" or less, but that second cut takes time. 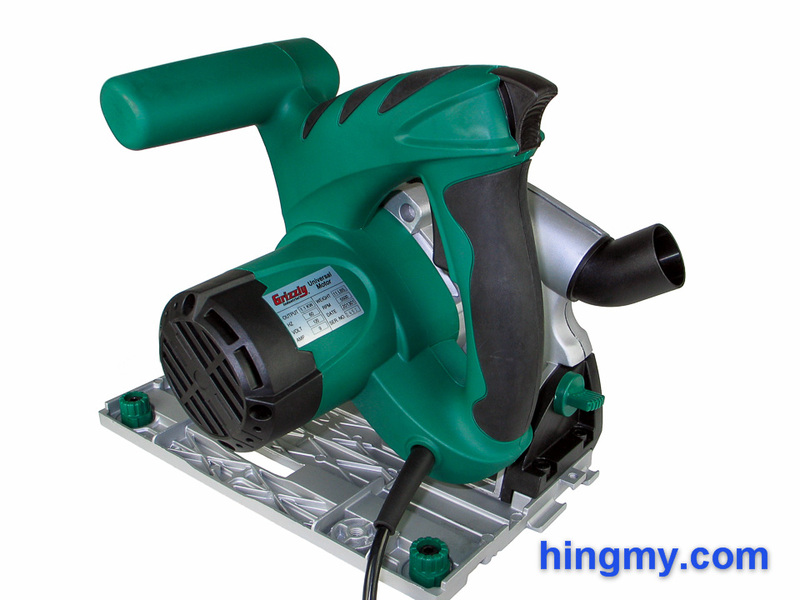 The dust hose, if it is attached, neatly follows the tool through the cut. If you don't use it, the saw leaves behind a trail of dust right on top of the track. The T10687 offers the best experience when it is used with a dust collector. The track saw segment is still a very immature. There are only a handful models to choose from. The original entrant, the Festool TS 55, is still going very strong. 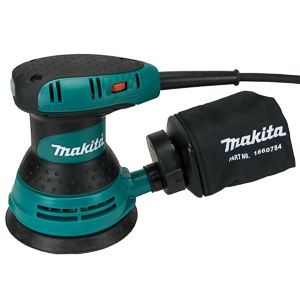 DeWalt and Makita were to first to match Festool's new form factor. Grizzly now fills in the bottom end with an entry level track saw that was missing from the picture. 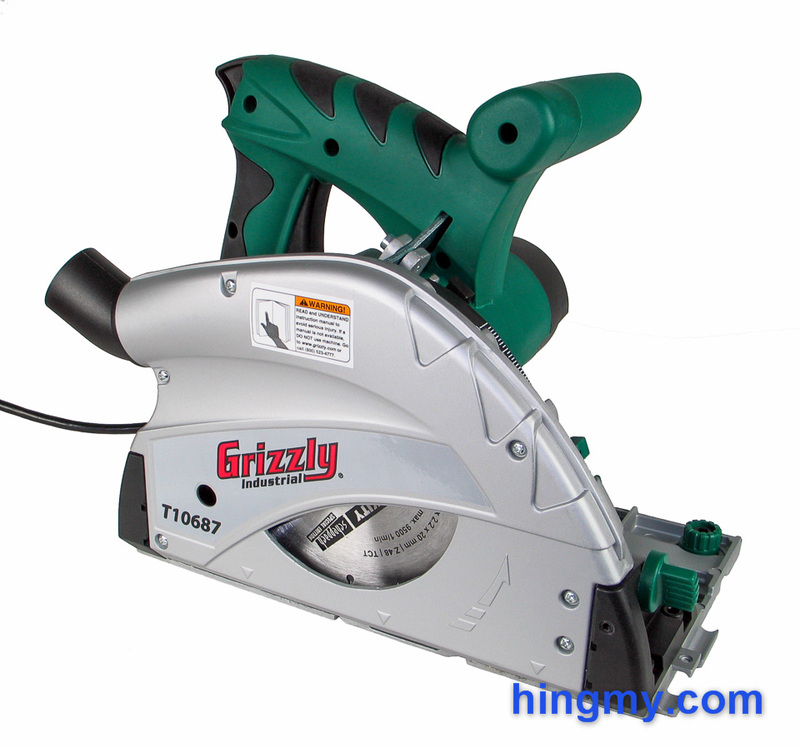 Grizzly Industrial has created an excellent choice for many of us who are looking for track saw. In many respects the T10687 is the equal of the track saws that cost twice as much. 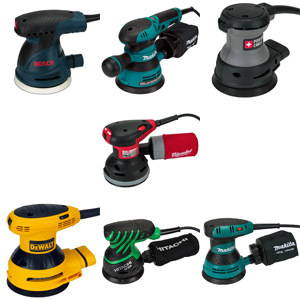 It offers the same on-rails cutting experience that sets track saws apart from circular saws. 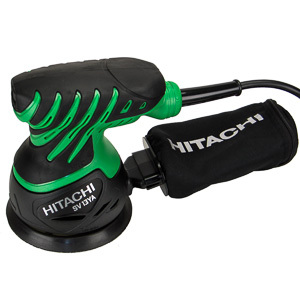 It has enough power to be a useful tool almost all of the time. Off course there are limits to what can be done with half the budget of the of the other saws. The T10687's fit&finish does not rise to level of the competition. The hand screws in particular have a cheap feel to them. You don't get a tool case and the track has be purchased separately from the saw. Most of these issues are at worst annoyances. Once the saw is set up it performs like the best of them. If you cut bevels a lot the misaligned cutting plane during bevel cuts may drive you to one of the more expensive saws. If you are looking for a saw that you will only use for a few cuts a day, the T10687 might be saw for you. It is an excellent option to cut down sheet goods in a small shop without a panel saw. Finish carpenters will find it just as capable as the competition. If you make your living with your track saw, however, the competition offers features and an increased level of durability that will save you money and time in the long run. With the T10687 Grizzly Industrial has created a landmark tool. The established players in the track saw market will have to take a long hard look at this saw and figure out if their prices are still justified. 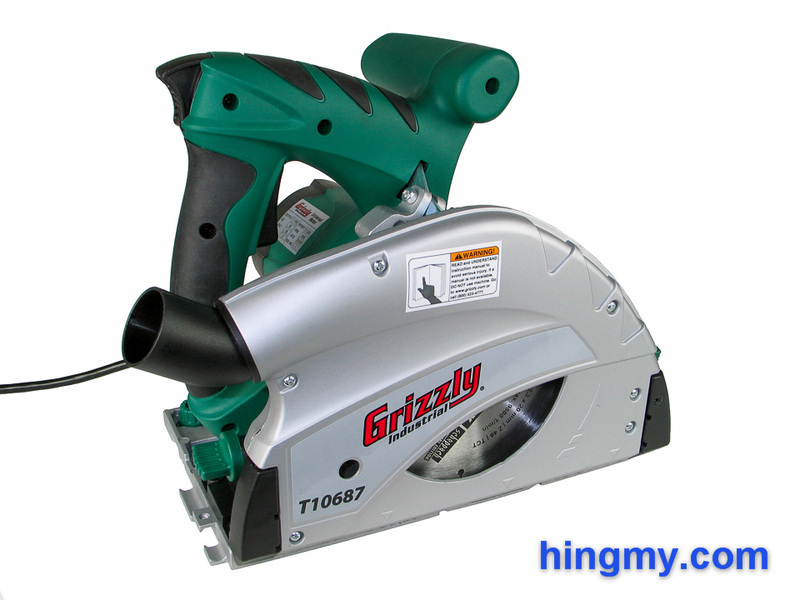 Even if the Grizzly T10687 is not for you, it will make your next track saw a cheaper and better saw. Competition is a fine thing. Our saw does not show the lose fit the Wood Whisperer encountered in his video review. The entire base plate is in contact with the track, and there is no side-to-side movement. The track guides the saw along a single path. If we were to guess, Mark's saw has a manufacturing defect. Depth at 45 1 5/8"